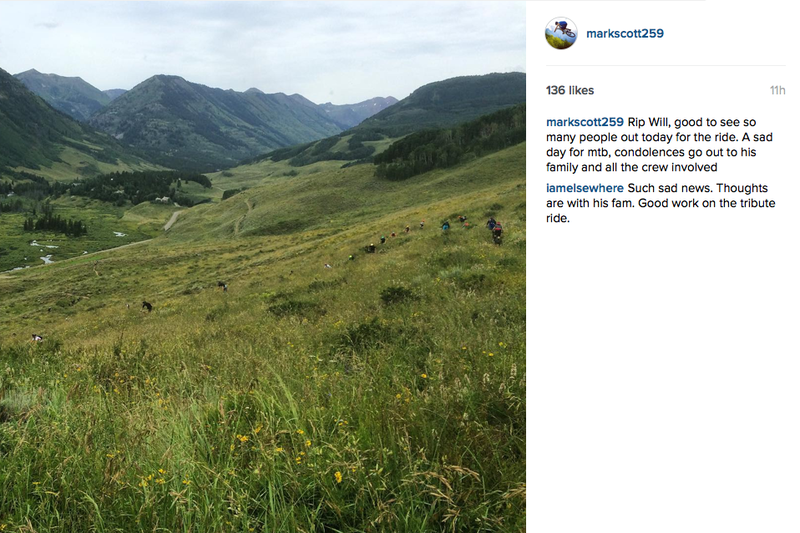 Round five of the Enduro World Series in Colorado ended in tragic circumstances after the death of a competitor during a timed stage. 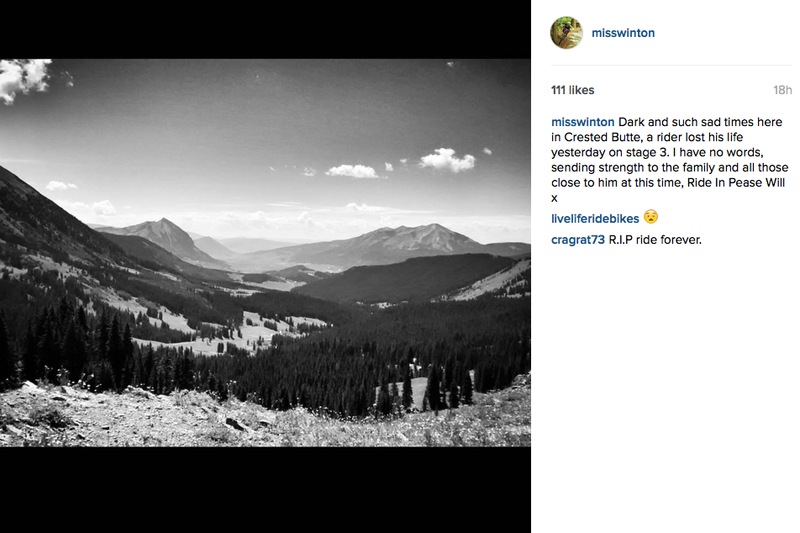 Will Olsen, 40, was found around noon after he had apparently crashed on stage three. 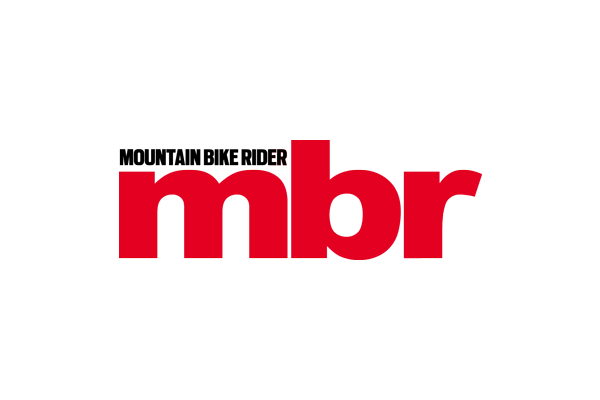 Fellow competitors attempted CPR and a medic arrived on a motorbike within minutes, but he was pronounced dead at the scene. 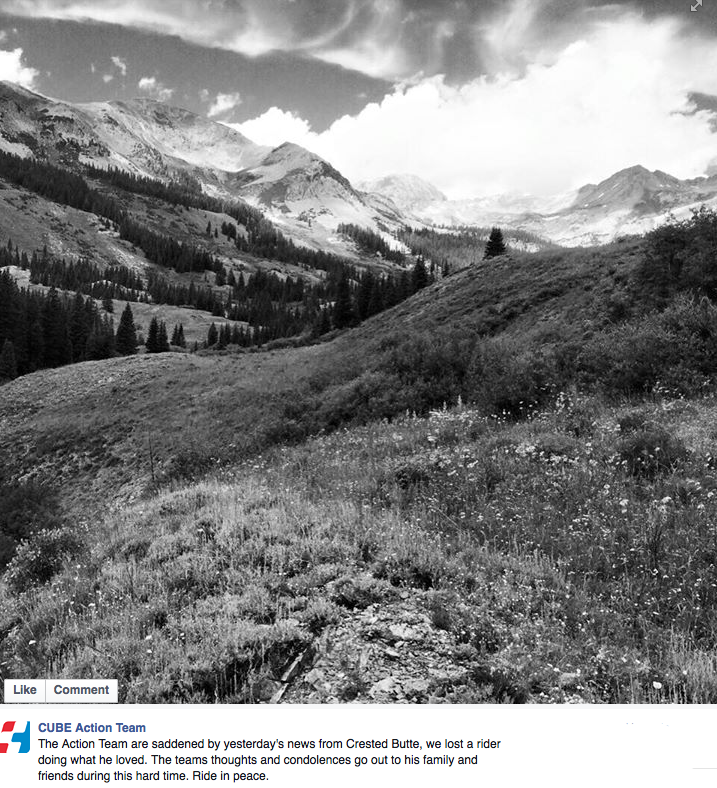 Olsen was a local to Crested Butte, where the race took place, and is believed to have known the trails well. 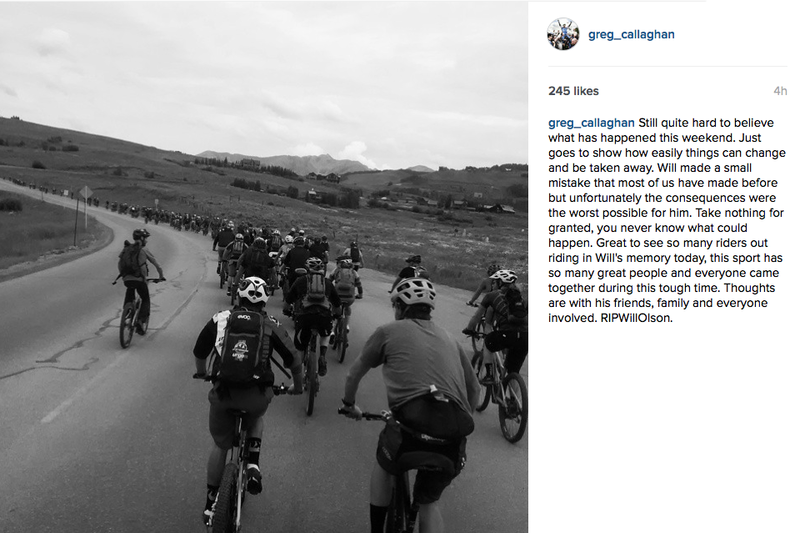 The rest of the race was cancelled immediately and a tribute ride to Olsen was organised for the next day. The race organisers and many of the leading competitors posted their tributes on social media as this young discipline attempted to come to terms with a devastating tragedy. There are no words that do justice to the sadness we are feeling today. In honour of Will and his family and to stay strong together as a close community of incredible people we will ride out together from the event village at noon today. 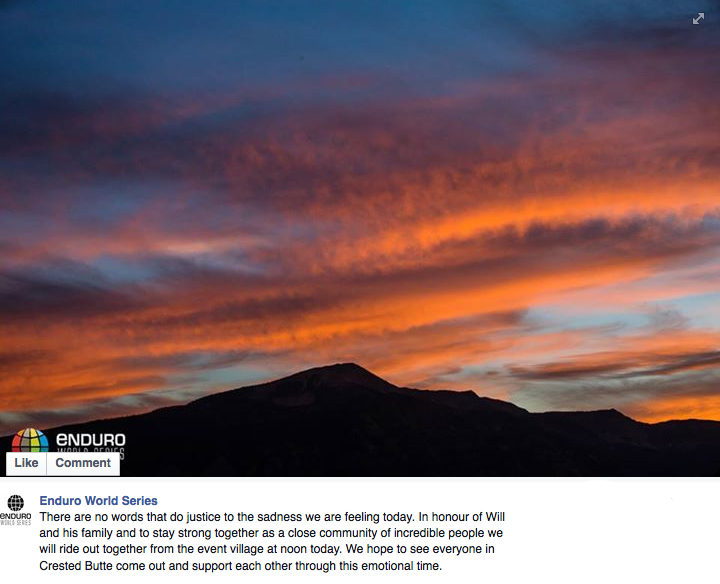 We hope to see everyone in Crested Butte come out and support each other through this emotional time. Still quite hard to believe what has happened this weekend. Just goes to show how easily things can change and be taken away. Will made a small mistake that most of us have made before but unfortunately the consequences were the worst possible for him. Take nothing for granted, you never know what could happen. Great to see so many riders out riding in Will’s memory today, this sport has so many great people and everyone came together during this tough time. Thoughts are with his friends, family and everyone involved. RIPWillOlson. We all love to ride head on fire next to the edge. We can imagine broken bones, big damages to our body and we do know it is part of the game. Yesterday, one of us passed away. No-one could think about this situation doing what we love most. 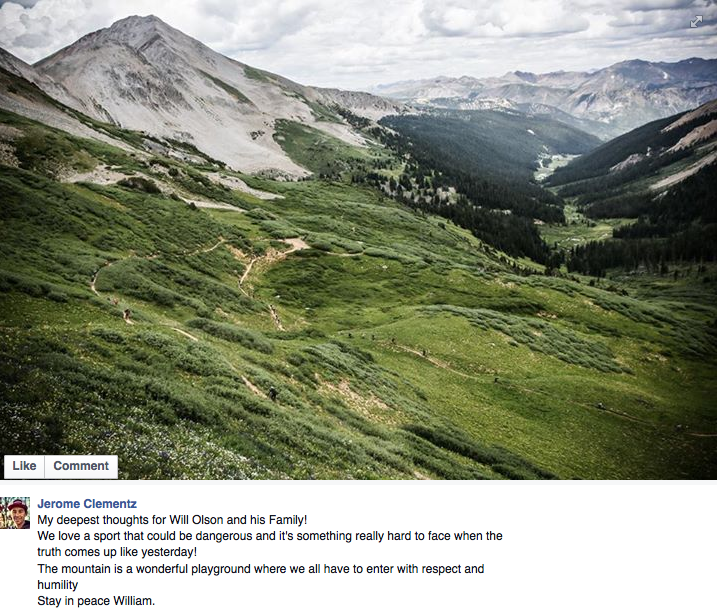 All our support is going to Will’s family and friend as we know that no words do justice to our feelings. My deepest thoughts for Will Olson and his Family! We love a sport that could be dangerous and it’s something really hard to face when the truth comes up like yesterday! 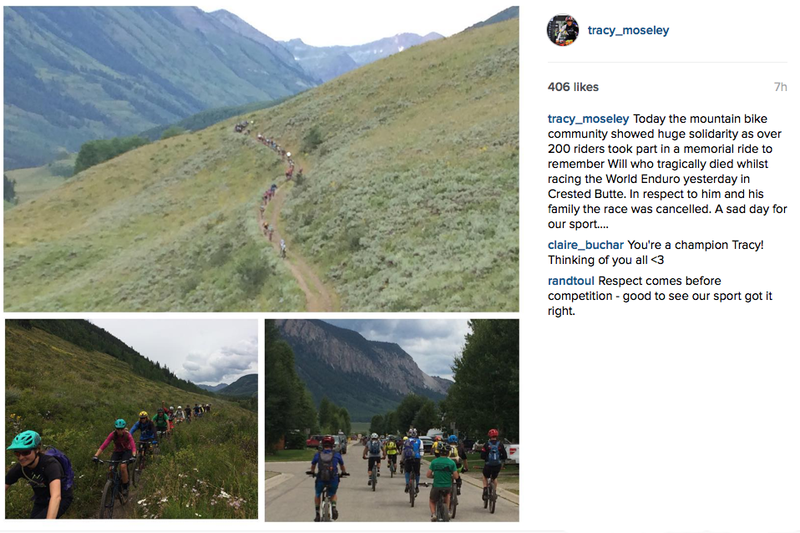 Today the mountain bike community showed huge solidarity as over 200 riders took part in a memorial ride to remember Will who tragically died whilst racing the World Enduro yesterday in Crested Butte. In respect to him and his family the race was cancelled. A sad day for our sport…. 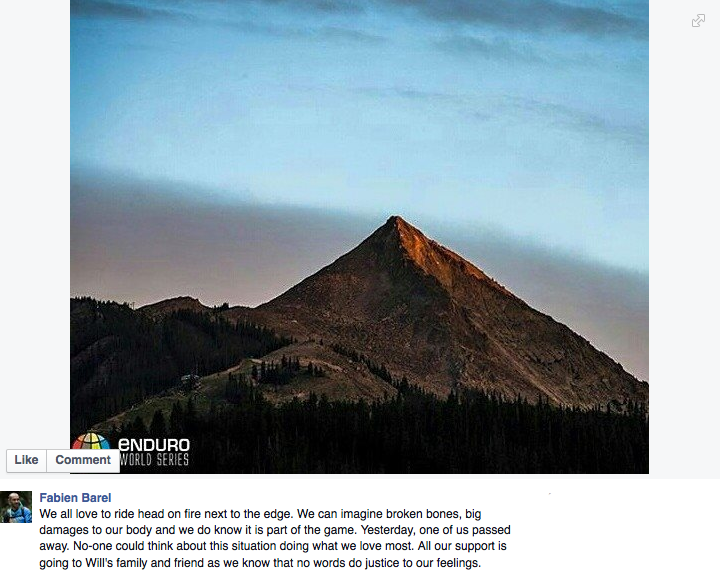 The Action Team are saddened by yesterday’s news from Crested Butte, we lost a rider doing what he loved. The teams thoughts and condolences go out to his family and friends during this hard time. Ride in peace. 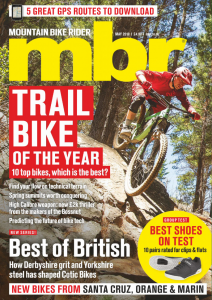 Olson’s death is the second fatal mountain biking accident in a fortnight, after Mark Kingston passed away after a crash at Swinley Forest on 25 August.